A healthy lifestyle that includes regular exercise requires responsible nutrition. For example, proteins, which support muscle maintenance and muscle growth, are essential for successful training. As a private label manufacturer of sports nutrition products, nutrineo supports its customers in the production of healthy and functional food products with an MOQ from 2 tons. The experts at nutrineo have the required know-how as well as highly sophisticated application technologies for your individual success on the market. In order to supply important proteins to the body during training, the proteins can be administered as shakes. nutrineo’s protein powders, liquid protein shakes and weight gainers help to supply the body with animal and vegetable proteins. One well-known sports nutrition product is protein powder, which can be enjoyed mixed with water or milk as a shake. Apart from powders such as Protein 90 or whey products, nutrineo also offers ready to drink (RTD) protein shakes for ‘on the go’. They provide the body with high quality proteins and vitamins, support muscle gain and also regulate the body’s fluid balance. As a private label customer, you can choose from RTD products based on milk or water, zero sugar or lactose-free variants or protein shakes based on coconut water. For optimal recovery after exercise, recovery drinks provide the body with the nutrients it has lost during exercise. The recovery drinks for strength or endurance from our sports nutrition range are individually tailored to the training goal. They deliver the nutrients the body requires and thus provide energy for the next training session. To quench the thirst during and after exercise, nutrineo offers isotonic drinks as an optimal and further supplement to the sports nutrition range. These beverages deliver important minerals for the body and are easy to digest. 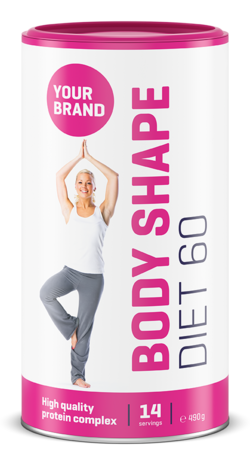 The body can easily absorb our isotonic drinks whilst they support a quick recovery. As a private label manufacturer that offers various packaging options, nutrineo is able to fill its sports nutrition products into various packaging formats. These range from cans to pouches to sachets and sticks to large Big Bags, with different packaging sizes available as required. However, a minimum order quantity is required. Existing powder formulations from our product kit can be produced starting at quantities of 2 tons; for liquids (RTD) the minimum production quantity is 10,000 liters. nutrineo supports its customers right from the start: from the idea and consultation to product development to production and packaging. Together we can develop your individual sports nutrition product.